Built new in 2017, this two story craftsman style Branagh Development home offers the space, yard, and neighborhood desired by today’s families. 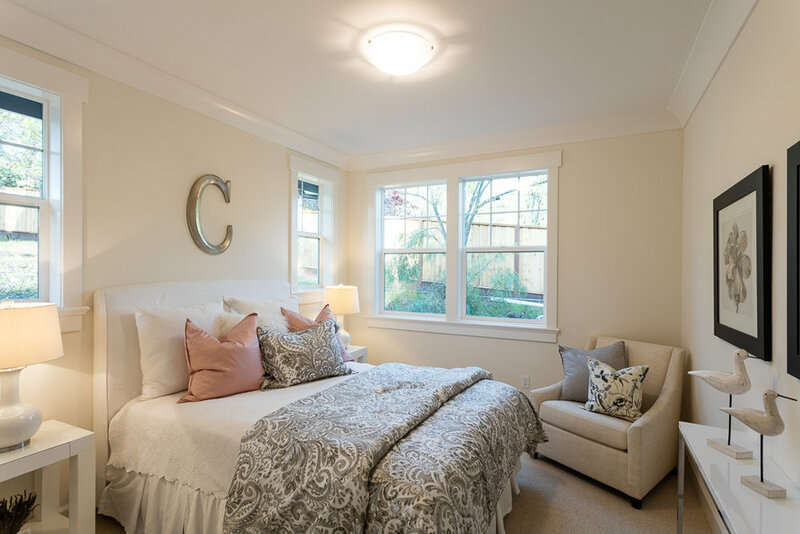 Located in Walnut Heights, 1206 Mt View Blvd is within the top-rated Walnut Creek School District and offers unmatched proximity to downtown Walnut Creek, BART, and freeways with the bliss of living in the rolling hills of Walnut Creek. The classic styling of the front porch catches your eye as you are we welcomed into this sophisticated home. Immediately greeted into formal parlor with a gas fireplace on the left and formal dining room on the right, one quickly notices the beautifully finished hardwood floors, designer light fixtures, chair rail wainscoting, and crown molding abundantly wrapping the spaces. Continuing through the entry, the rooms open up into a spectacularly large great room with abundant windows, Andersen wood doors leading to the loggia and backyard, and a stone surround gas fireplace with a custom mantel. 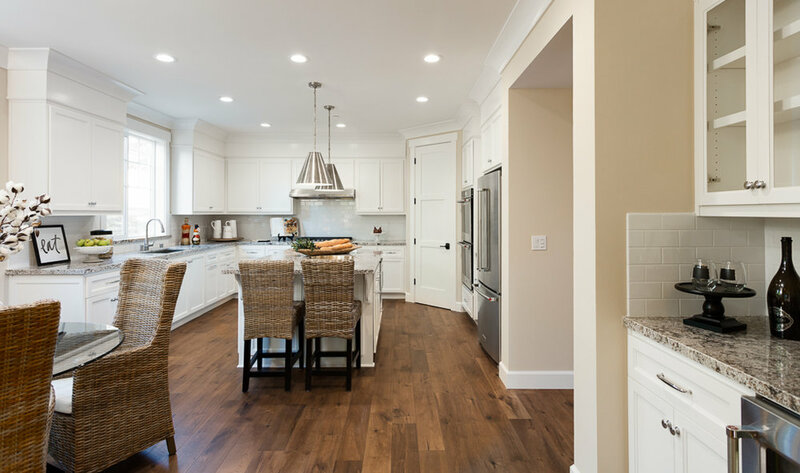 Adjoining the great room is the chef’s kitchen appropriately appointed with KitchenAid appliances, walk-in pantry, double ovens, granite counters, large island, and designer antique nickel pendant lights. 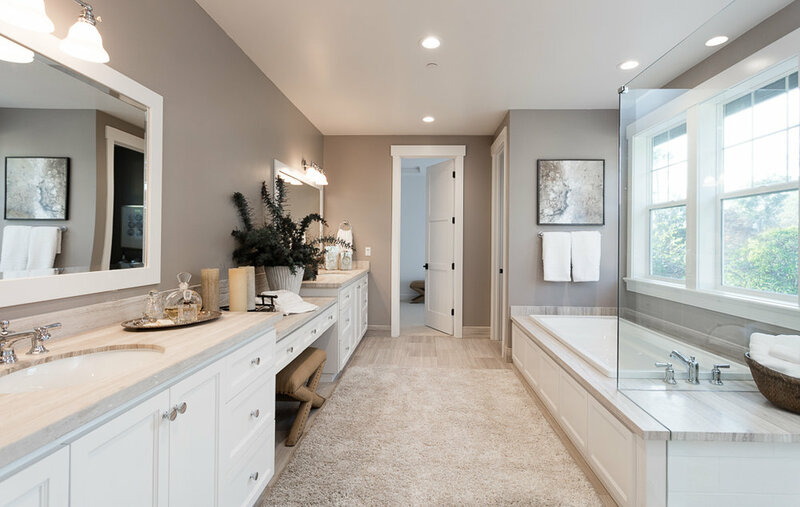 The abundant master suite features a large master closet, a beautifully finished master bathroom with soaking tub, walk-in shower, double sinks, and limestone finishes. The secondary bedrooms of the home include a main floor junior master suite, and three additional bedrooms upstairs with a hall bathroom. Outdoor spaces are well designed and usable on this large +/- 0.42 acre lot. Concrete patios wrap the exterior creating a front porch, dining area, and loggia; the ultimate outdoor living room and entertaining space. 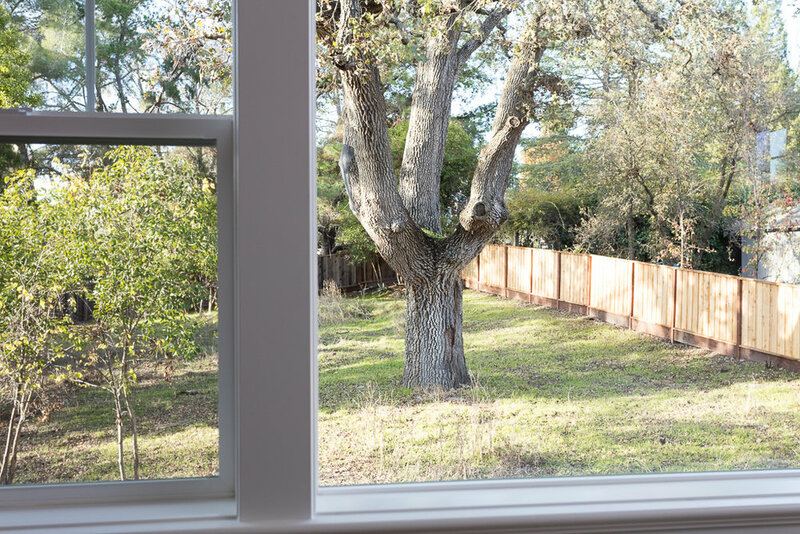 The rear yard is an open canvas with gorgeous established Oak trees and room to plan your family’s dream backyard.